The index opened positive but saw profit booking from the onset to dip to the lows at 8287.55. Value buying saw the index close above 8300 at 8323.20, loss of 14.70 points. The broader market was negative with 617 advances to 988 declines. Range for the series at 8200-8700. Call option 8100-8500 added 8.69 lacs OI with profit booking at 8600 and above strike prices. 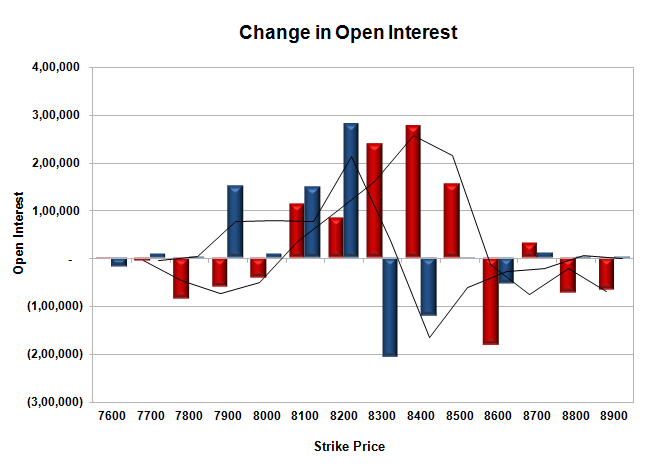 Put option 8200-7900 added 5.90 lacs OI with short covering at 8300 and above strike prices. 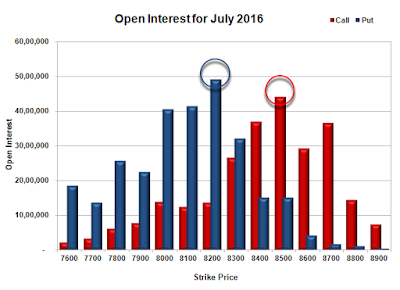 Nifty Open Interest is at 1,82,65,125 down by 4,01,400, with decrease in price, probably long liquidation. 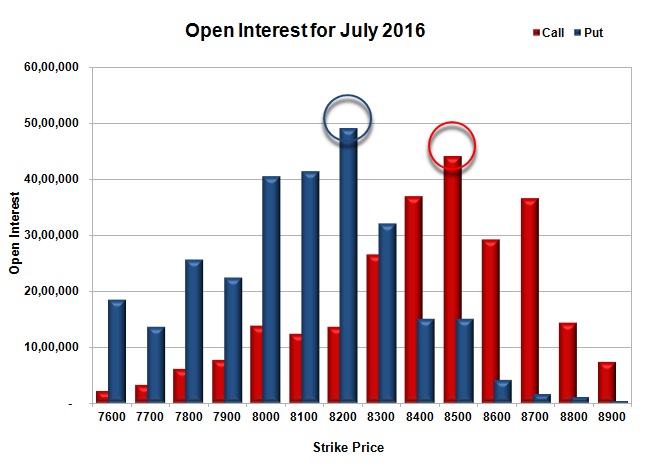 Bank Nifty Open Interest is at 18,87,200 up by 17,880, with decrease in price, probably short build-up. FII’s sold 3831 contracts of Index Futures, which includes net 456 contracts long build-up and 4287 contracts short build-up, with increase in net OI by 4743 contracts, includes 17261 longs to 21092 shorts for the day. FII’s Index future open contract as on date is 189881 Longs to 47863 Shorts, Net long 142018 contracts. Initial support at 8300, with OI of 32.08 lacs and below that at 8200 with highest OI of 49.08 lacs. Initial resistance at 8400, with OI of 36.90 lacs and above that at 8500 with OI of 44.03 lacs. 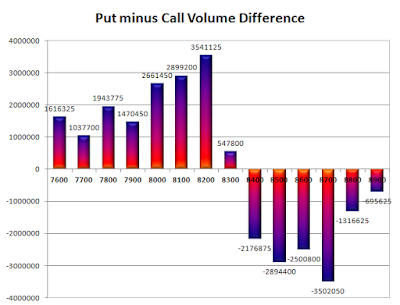 Day Range as per Option Table is 8261 - 8381 and as per VIX is 8258 - 8389 with 8321 as the Pivot.